Assemble your league of Heroes and charge into war! 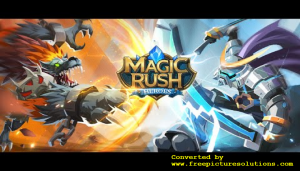 Magic Rush: Heroes has epic head-to-head battles that combine the best elements from the RPG games, tower defense games and base building games. With an amazing single player campaign story, online PvP battles, multiple game modes and daily quests, there are tons of ways to lead your Heroes to victory! 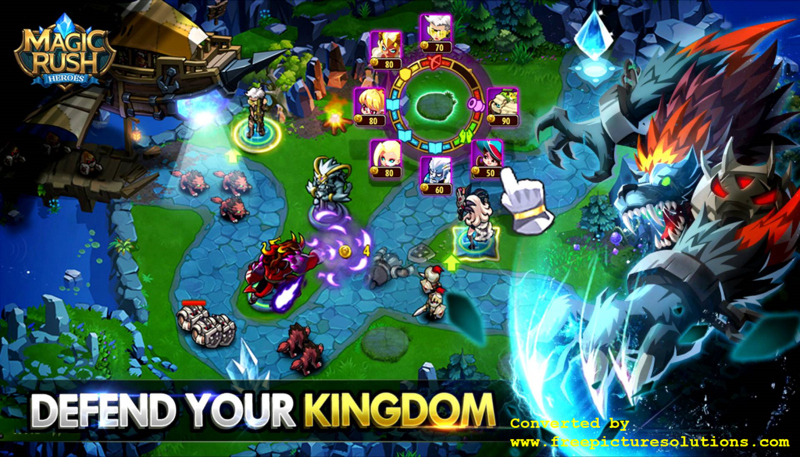 With epic kingdom defender battles and a hair-raising PvP Arena mode, cunning strategy and quick reflexes are a must! 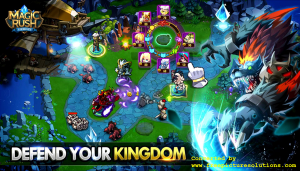 Fight for victory, become a legend and earn glory as the greatest kingdom defender of all! Kingdoms at War in Intense PvP World Map Battles Join an Alliance to do battle and chat with your allies Capture nearby mines to collect valuable resources for your kingdom Strengthen your kingdom using Iron, Crystal, Silver and Medicine, and use those upgrades to power up your Heroes Arrange three teams of Heroes on your kingdom wall to defend your city Conquer other players, and even the world! 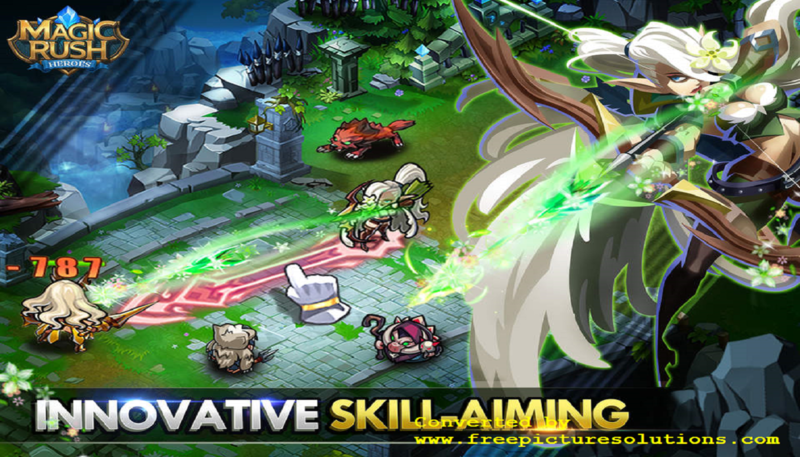 Magic Rush: Heroes brings role playing games and real time strategy together with intense kingdom defender battles. 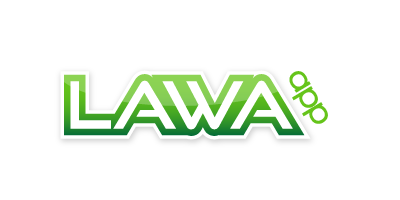 This action packed adventure is free to download; get it today and rush into battle!